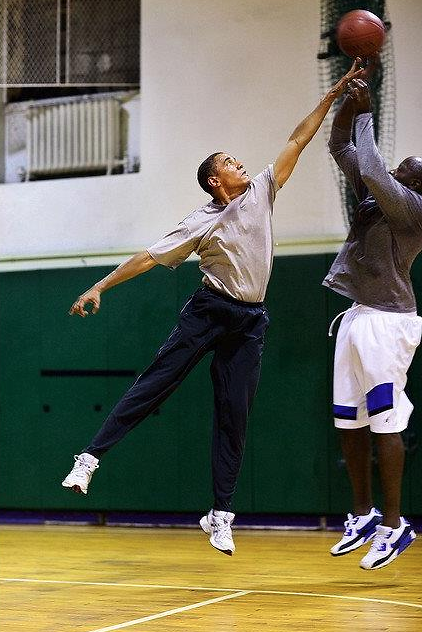 President Barack Obama is not too busy dealing with Russia's antics to create a March Madness bracket but let's just hope his behavior with Putin and crew is a little less risky. Obama made the bold move of puting #4 seeds Michigan State and Louisville in the championship game with Michigan State taking home the title. This is the first time Obama has not put a #1 seed, the safer bet in bracketology, in the final two. He also didn't put much faith in the two DC teams, The George Washington University and American University, and has them losing first round. 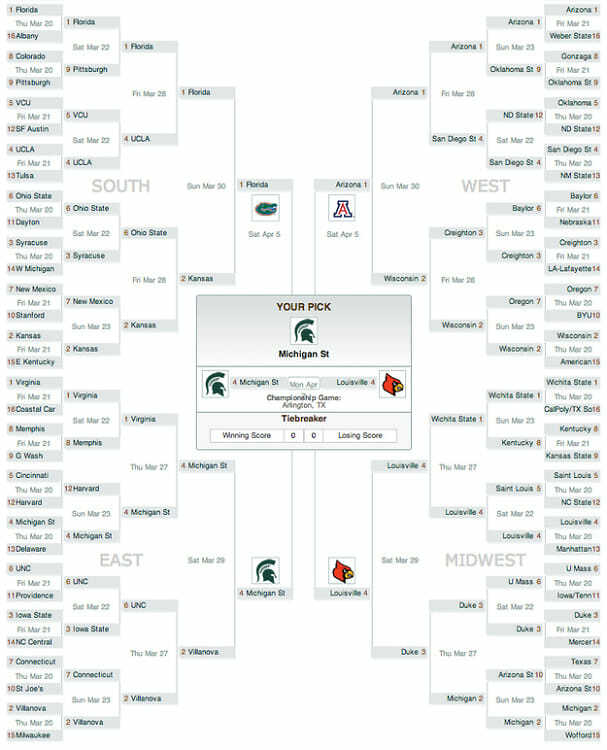 Will this be Obama's year for a wildly successful bracket? He hasn't correctly predicted a winner since University of North Carolina in 2009 so the president is due for a W. Obama told ESPN on Wednesday, "It's been a while since I won my pool." Check out his full bracket after the jump and see how yours compares!